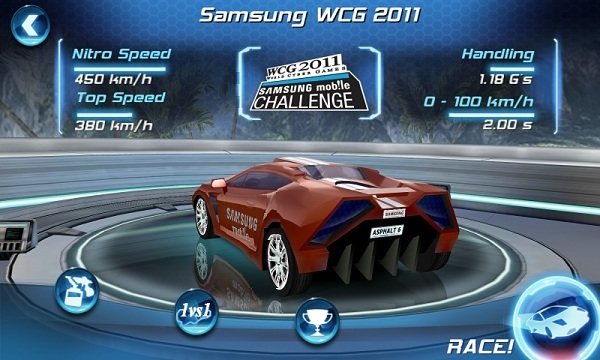 Samsung have announced details of their Samsung Mob!le Challenge, a competition to win $65,000! The competition is open to 27 CountriesÂ aroundÂ theÂ worldÂ (see image below for participating nations). It's actually a pretty cool competition too, where you have to get the fastest (or one of the fastest) times around the Nassau track on Gameloft's new racing game Asphalt 6: Adrenaline. The preliminary round is open now and carries on until the 25th September for those of us in the UK, for the rest of the world see below to find out the dates of your preliminary round! If you have a Samsung Galaxy SII, you can actually download this game for free! Check out our How To for more details!